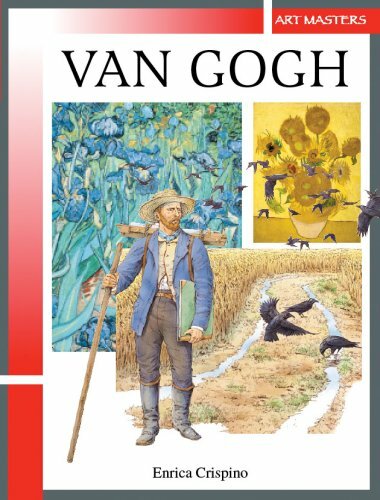 A profile of the life of Vincent van Gogh that also focuses on his art, including the development of his signature technique, the artists and styles that inspired him, and how life events influenced the subjects he selected. Ideal for both introduction and review, the six titles in this series address the individual artists Da Vinci, Michelangelo, Rembrandt, and Van Gogh and the art and cultural movements of the Renaissance and Impressionism. The Art of the Renaissance encompasses this extraordinary era of creative vivacity admirably and highlights many of the arts, including architecture, drama, music, painting, sculpture, and weaving. The importance of Gutenberg's printing press is not overlooked. The series was first published in Italy, and the European perspective is evident in this book. Although the High Renaissance is featured, it is not the sole focus as in many American books on the topic. Van Gogh details the artist's short, unhappy life. The text also includes information concerning his painting techniques and themes, influences by other artists of the time, places he visited, and happenings in the world around him.